That is a lot of bricks and mortar! Roll the clock back twenty years in the Runcorn property market, and there were two distinct camps of property buyers – folks who would only contemplate living in period character properties with their original fireplaces and beams, and those people who preferred the low maintenance of a new home. Old period homes were ridiculed as money pits by new-home aficionados, while new-home owners were accused of buying boring boxes, all vanilla, all the same, homogenous and bland. However, it’s not as black and white as that anymore – or not as I see it in Runcorn. New home builders are now trying to change their cookie-cutter uniform rows of suburban boxes into developments that are as individual as the families that love in them, thus increasing their appeal. Nonetheless, whether you choose a stone cottage, archetypal Victorian semi or terrace, 1970’s/80’s functional home or an untouched new home, whatever home you buy, it can result in supplementary costs that are often not taken into math’s when buying by potential homeowners or buy to let landlords. So looking at the numbers in greater detail, let’s see what type of new homes people have been buying in Runcorn and the wider local authority area. I thought the mix of what was built/bought locally over the last ten years when compared to the national figures was fascinating. It’s interesting (but not surprising) to see a greater proportion of detached homes built locally and fewer terraced houses being constructed when compared to the national averages. 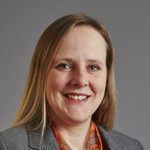 This is because of the nature of the Runcorn area, its position in the country, the availability of building land, planning restrictions by Halton Borough Council and the price of building land. Well if you are considering new, take care when buying one, as often the show home isn’t the actual property you end up buying. It’s like visiting the car showroom and falling in love with the model in the showroom (which is spec’d up to an inch of its life) – only to get the base model when handed the keys. Look out for things like curtain rails, tv aerials (or lack of them), kitchen appliances, carpets and curtains… an outside – make sure you aren’t unwittingly buying a square piece of earth instead of the manicured landscaped gardens. New homes are a lot more efficient on energy consumption compared to the old drafty, high fuel bill Victorian semis, as their owners can testify. Older properties will have maintenance issues, with 100-year-old brickwork and roofs that might need replacement and extra insulation, rotten wooden windows and a dodgy central heating boiler (all sounding rather a strain on your bank balance if you weren’t aware). The point I am trying to get across is open your eyes and don’t assume. Ask questions and get a surveyor to make a detailed inspection of the property, so you know what you are getting yourself into. Next, I also wanted to break down the new home stats for each year in our local area to see if there was a pattern to when people bought a new home. As you can see, there was a drop in new homes selling between 2009 and 2012 and since then; the general trend has been better! 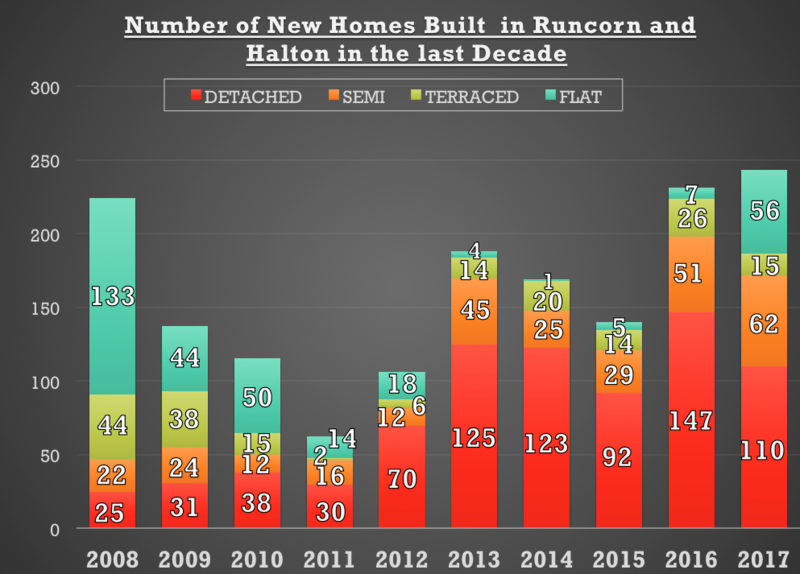 Looking at the much larger second-hand housing market in Runcorn over the same ten years, the coloration between the new homes market and second market has been quite strong. 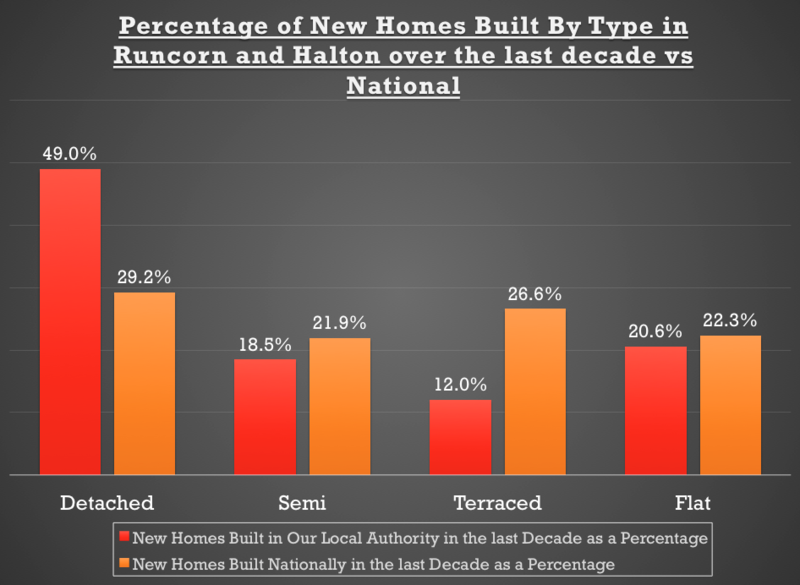 This shows that the new home builders don’t make (or break) the Runcorn housing market – just follow it (although with the planned building locally in the next 10/20 years, who knows if that will continue to be the case?). So, should you buy brand-new or second hand? If price is your sole motivator, then new homes are always cheaper when the economy is bad. 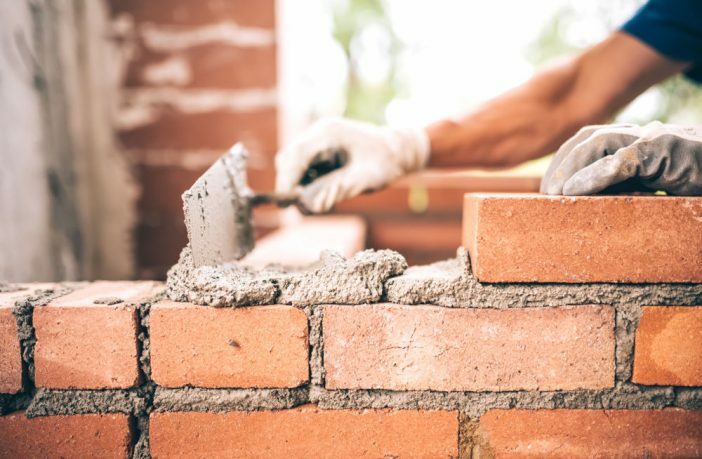 However, in regular and good housing market conditions, you will pay a ‘new build premium.’ The Royal Institute of Chartered Surveyors admits that this can be as high as 10% extra, when compared to a similar second-hand property – so be aware of that (it’s like paying extra for a new car and losing a bit (or a lot) of money as soon as you drive off the forecourt). Although, it’s not always about pure pound notes. Older houses are bigger (more room) yet take more money to heat. Older houses have bigger gardens (to enjoy) – but you will spend more time tending to them. Older houses are in more established areas (with more facilities), while everyone is starting afresh on new homes. It all comes down to personal opinion. One final thought though – at least with new homes there is no gazumping or no upward chain to ruin any sale completion dates. Next Article What Will Happen to Runcorn Property Values if Interest Rates Rise?